A man and a woman in their 30s have been arrested. 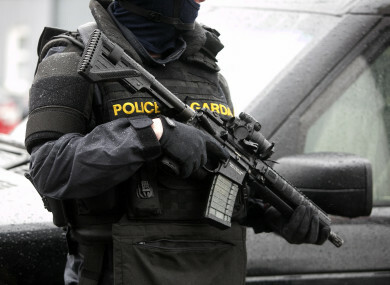 GARDAÍ BELIEVE THEY have stopped a planned murder after they discovered a loaded handgun in a car this afternoon. Officers in Finglas were carrying out a gangland operation in Rathborne Village, Ashtown, west Dublin this afternoon. During the operation, they searched a car and recovered a handgun along with a number of rounds of ammunition. A man and woman who are both in their 30s were arrested at the scene. Email “Two arrested after gardaí find loaded handgun in car in west Dublin”. Feedback on “Two arrested after gardaí find loaded handgun in car in west Dublin”.